Despite the high voltage number that many of these tools are associated with – as much as 5,000,000 – the low amperage of stun guns is low usually around two to three milliamps, which means that they will not cause long term damage to the person targeted. For electricity to be fatal it has to measure at least one ampere. Furthermore, unlike an electric chair, which is designed to kill a person, a stun gun falls into the classification of a non-lethal device because it is merely a means of disabling the attacker. A report written in 2004 at the Eastern Michigan University demonstrates that the benefits of stunning devices outweigh the risks and are an effective method at apprehending criminals in a timely and effective manner compared to other devices. However, despite the number of negative reports issued about stun guns there are continually more people buying them for extra protection. The fact that stun guns don’t harm a person targeted shows a major advantage compared to other devices such as firearms. They also come in a variety of shapes and sizes and disguised forms which mean that a user will have an element of surprise when needed. 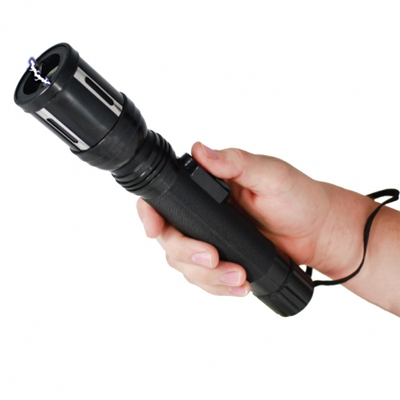 Nowadays, it’s possible to buy a stun gun with as little as 100,000 volts to the more powerful stun guns as high as 5,000,000. Due to the wide variety of devices available it is possible to determine the right one for you.